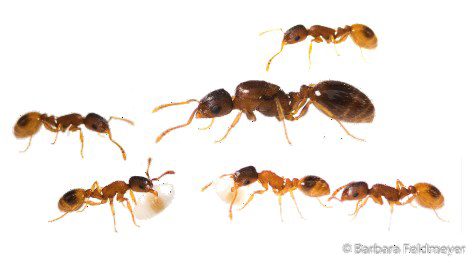 A 2-year post-doc position is available in the research group of Professor Nathalie Stroeymeyt in the Department of Biology, University of Fribourg, to study the effect of social network properties on disease transmission dynamics in ant colonies. The goal of this project will be to experimentally manipulate the social network topology of ant colonies (e.g. by manipulating nest architecture) to quantify the effect of network properties on disease transmission and test key predictions from network epidemiology. The candidate will use a combination of automated behavioural tracking, social network analysis, simulation of disease transmission, monitoring of the transmission of pathogenic and non-pathogenic agents, and fitness measurements to produce an integrative understanding of the effect of social organization and network structure on epidemic risk. The position will be part of an overall project team consisting of two PhD students and two post-doctoral researchers (https://stroeymeyt-lab.ch/open-positions/) and will be fully funded for two years by an ERC Starting Grant. The salary will be set according to the guidelines of the University of Fribourg (c. 75’000 CHF per year).